What are the ethics around consumption? It’s hard to say no to nice things. And when advertisers urge us to increase consumption “because you’re worth it!”, it can be hard to concentrate on the fundamentals. But consumption is a serious ethical issue in the twenty first century, and needs genuine thought. This page discusses some of the ethical dilemmas around consumption and offers some areas for thought. There are two main aspects to ethical consumption. Ethical production relates to how goods and services are produced. This covers the processes and the people involved. How certain are you that your clothes are produced in factories by people paid a fair wage for a fair day’s work, and not in a sweatshop by those forced to work long days in cramped and airless conditions for low wages? How certain are you that the processes used to produce the goods that you buy are not damaging the environment, for example through release of chemicals? How do you know where and how the energy that powers your home is produced? Is the production process burning large quantities of fossil fuels and adding to environmental pollution? These are not easy questions to answer, and many of us have quietly chosen to ignore them in favour of an easier life. After all, we all have a responsibility for what we do, and ignorance is no defence in law. The second issue is whether you are consuming your fair share of goods and services. Our page on Fairness and Justice explains that ‘fairness’ is often a relative concept. In other words, you look at other people around you and consider whether what you have is ‘fair’ in relation to what they have. But there is a wider issue about whether you are consuming more than ‘most others’, and not just those around you. Press reports often criticise ‘fat cats’ for their large bonuses, but quotes from said ‘fat cats’ make clear that they believe that their remuneration is justified because others they know are paid similarly. The fact that they are paid two, three or even ten times the average wage in the country is not mentioned. In the developed world, then, there is a huge ethical question about whether it is ‘fair’ that we are able to consume so much more than those in the developing world. This question cannot be solved quickly or simply. Nobody is suggesting that everyone should reduce their consumption to match that of people in the poorer parts of Africa. But this issue is nevertheless worth bearing in mind when you are thinking about whether your consumption is ‘ethical’. The good news is that there are things, both large and small, that you can do to both establish and improve the fairness of your consumption. Don’t waste food. The amount of food that is thrown away each week is often cited as a major issue. Instead of buying whatever you fancy, try to plan ahead and only buy what you know you need. Check the ‘use by’ dates on perishable foods and make sure that you use them up before that date (and don’t worry about ‘best before’ dates as they are usually meaningless), or even freeze them if necessary. This will have the added bonus of reducing your shopping bill. If you don’t want something, consider whether someone else might. Charity shops are a great option for recycling usable goods, as is Freecycle and similar networks. And if the item is in good condition, you could even sell it and make a bit of money! ‘Offsetting’ is a term usually used for carbon consumption, but it’s not an unreasonable approach to any consumption. It describes the idea that you don’t have to reduce your consumption if you take other action to ‘offset’ its impact. For example, if you are going to fly somewhere, you plant trees to remove carbon dioxide from the atmosphere. You could, for example, give regular charitable donations to charities working to alleviate poverty and disadvantage in the developed world to ‘offset’ the fact that you have more than others. Before you buy anything, consider whether you really need it. It’s not as much fun when you’re shopping, but asking yourself whether you really need something before you buy can be a good way to test whether you can justify the consumption to yourself. Check the ethical credentials of companies before you buy. Many companies take their responsibilities towards their producers very seriously, visiting factories and production areas to inspect them. These companies will usually include information about their ethical credentials on their websites. If you can’t find information about a company, try asking them via Twitter. It’s amazing how fast companies will respond on social media. And if you can’t find any information, don’t assume that it’s all OK. It might be, or it might not. You have to decide whether to buy or not on that basis. You do get what you pay for, and this is often true of ethical consumption too. That’s not to say that every company selling cheap goods has sourced them from a sweatshop, but good and ethical production does cost a bit more. If you’re on a fixed budget, you may find that you have to consume a bit less to fund more ethical buying. Buying locally wherever possible supports local enterprise. It also reduces ‘food miles’, or the environmental impact of transporting food. Be aware, though, that local companies may not necessarily be the most ethical; everything in life is about balance. This page provides a quick summary of some of the issues around ethical consumption, and offers some suggestions for what you can do to make your consumption fairer. 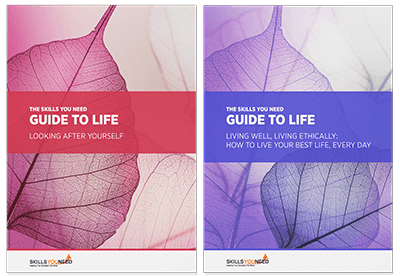 Perhaps what is most important in terms of ethical consumption, as with so many other aspects of ‘goodness’, is to live according to your principles, and find the right balance point for you. It is, after all, your life and you have to live it in the way that works for you.